Oct. 1, 1988, was a great day for Johnson Pest Control. 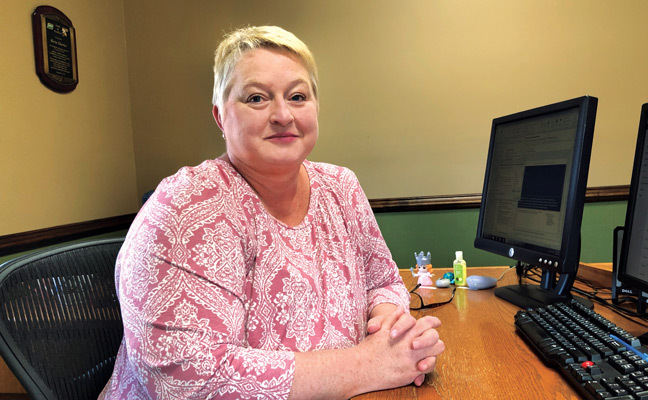 We only had four employees, and it was time to hire our first full-time administrative assistant. I only had a part-time worker — a customer, actually — to help answer the phone and handle some of the paperwork in the office. Two months earlier, we had transitioned to a computer system from the primitive file card system we had used from the very start of the company, back in the spring of 1984. My part-time assistant was an older person, and didn’t understand computers at all. I realized it was time to find someone who could help us out in our growing business. My wife, Tammy, and I had interviewed and searched for the right person who would fit in with our operations. On Oct. 1, Keva Shorter came to work — doing all that was asked of her. Keva has never looked back, only forward. Over the ensuing 30 years, she has done it all — answering the phone, scheduling routes, selling pest control over the phone, filing, payroll, paying bills, taking out the trash, and even playing guidance counselor to a few route technicians (and me) from time to time. Back then, our payroll and accounts payable were manually maintained in a checkbook; we eventually transitioned to QuickBooks. Through it all, Keva has balanced our accounts down to the penny. We have had many employees who have stayed with us for 10 and even 15 years, but 30 years with a small to mid-size company is commendable. Over time, you gain a strong friendship with someone so loyal, and Keva is a wonderful friend to Tammy and me. Shortly before coming to work for us, Keva married her husband, Roger. They have a beautiful daughter, Autumn, who is 27 years old. Over the years, we have experienced some significant life events as some of us have had our parents pass away or have faced family hardships. But we also have shared the joy of our children’s milestones. 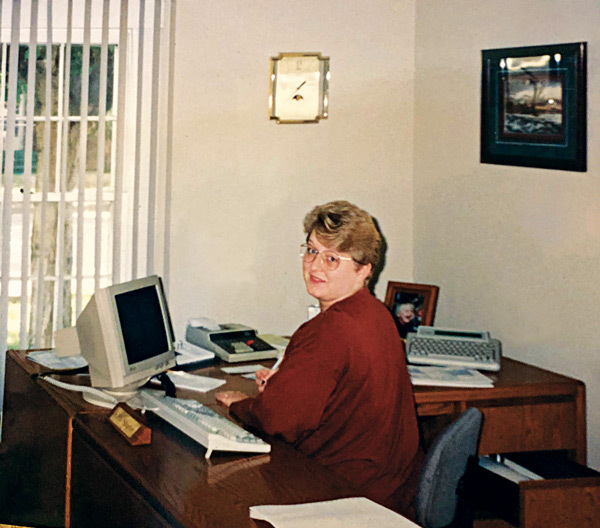 Keva has been involved since our early days, and has seen our company grow to where it is today. Tammy and I celebrated Keva’s work anniversary with her and her family with a nice dinner and some gifts. I owe her a lot for her dedication. Thank you, Keva!